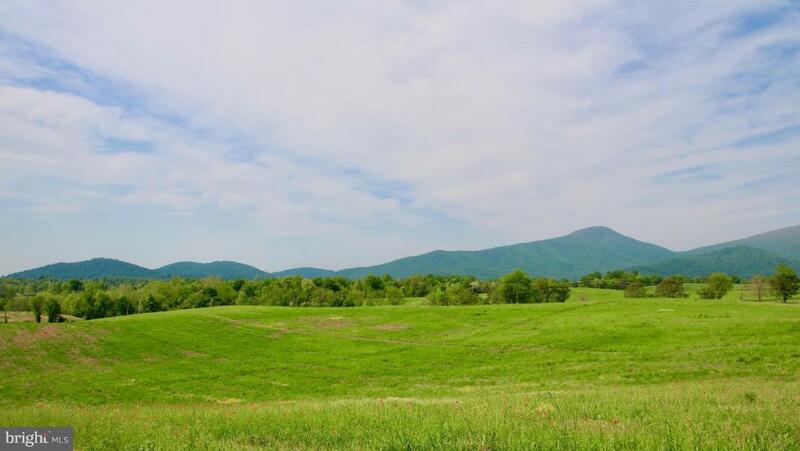 Exquisite Estate parcel of nearly 300 acres with the most beautiful pastoral views and facing west panoramic views to The Peak and Blue Ridge Mountains and Skyline Drive. Perfectly located north of Flint Hill with easy access to commuter routes as needed. May yield up to 5 divisions with liberal building rights. Fertile, gorgeous, well managed with Hittles Mill & Indian Run coursing through.